Touches of Fur have made a statement from the fashion runways in New York to our local High street. 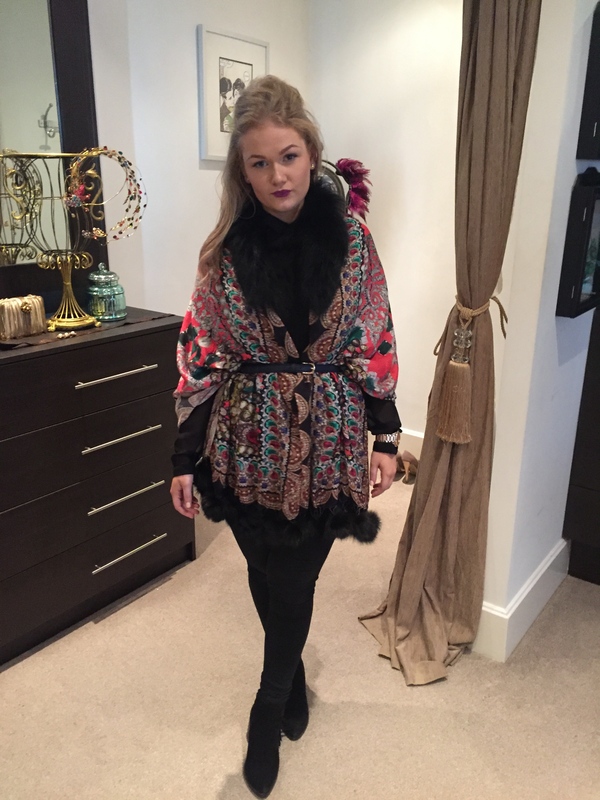 Here at Love Niche we have received our brand new winter collection of silk pashminas, consisting of unique digital prints all in a range of striking colours and finished with a hint of rabbit fur. Our silk pashminas are the key ingredient to the recipe of wrapping up in style season after season. The Pashmina will rapidly become your favourite accessory in your wardrobe now the weather is cooling down and winter fast approaching. They are the perfect statement item to keep your neck and shoulders warm, while a subtle way to conceal any unwanted flaws with adding a hint of elegance. 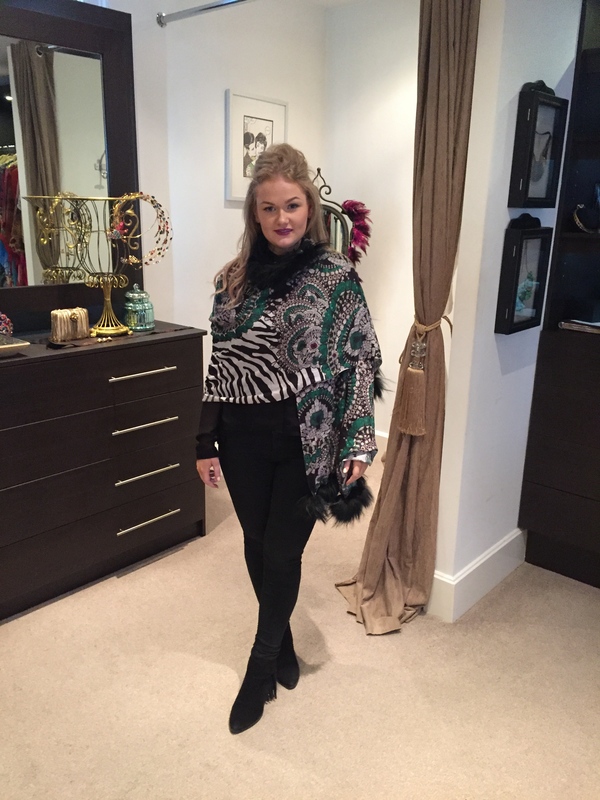 This piece is so versatile, taking you from day to night, can be be worn smart or casual ideal solution to add colour, luxury and a chic style to complete any outfit. 1. The simple mirrored loop: Wrap one end of the scarf around your neck, leaving this end of the scarf draping down from your back. 2. 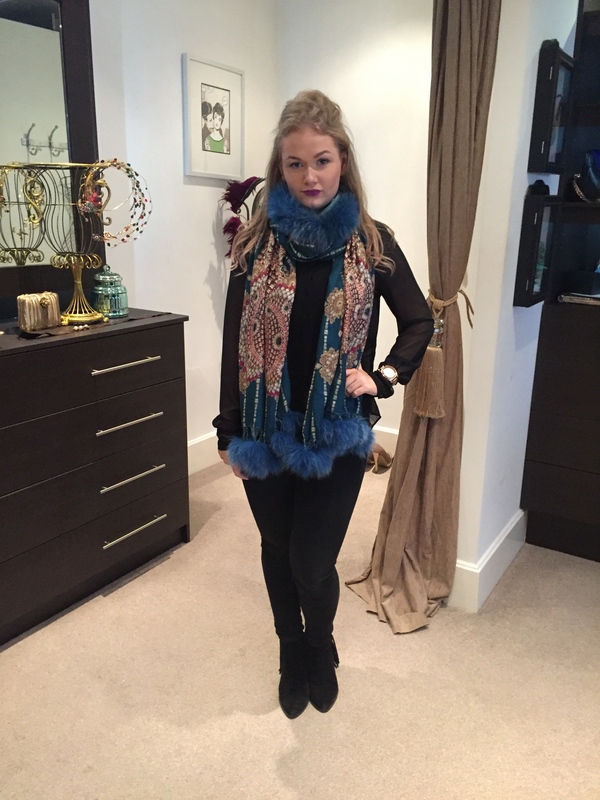 The classic loop: Wrap the scarf around your neck ensuring the fur falls at the front to create a collar. 3. Belted Cover-up: Place the scarf over your shoulders, add a waist belt under the scarf from the back and fasten on top of the scarf at the front allowing the belt to be visual at the front only. This creates the effect of wearing a top or jacket.